Dr Brendan Moore is a Specialist Pain Medicine Physician and Specialist Anaesthetist in private practice in central Brisbane. 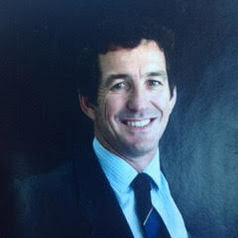 Dr Moore is a past Dean of The Faculty of Pain Medicine of the Australia and New Zealand College of Anesthetists and has been a member of the Faculty Board for 11 years. He is also a past Board member on the council of the Australian and New Zealand College of Anaesthetists. Dr Moore has an appointment as an adjunct Associate Professor with the Centre for Integrated Preclinical Drug Development, The University of Queensland, where he continues to be actively involved in collaborative and translational research as well as teaching. Dr Moore has an appointment as an honorary Associate Professor with the Department of Anaesthesia and Pain Medicine, The University of Hong Kong. Dr Moore serves on the Board of the Australian Pain Relief Association (APRA) and is a significant contributor to multiple Government and Pharmaceutical Industry Advisory Boards.